Lahore – the ancient whore, the handmaiden of dimly remembered Hindu kings, the courtesan of Moghul emperors – bedecked and bejeweled, savaged by marauding hordes – healed by the caressing hands of successive lovers. A little shoddy, as Qasim saw her; like an attractive but aging concubine, ready to bestow surprising delights on those who cared to court her – proudly displaying Royal gifts. Like the other walled cities in the world, Lahore was also built as a fortress with the walls and gates comprising a system of fortifications. City gates, other than their defence value, had an architectural and cultural significance as well. The gates served as ceremonial entry and exit points, social hubs, outposts for trade and commerce, and quarters for guards and administrative offices. In some cases these also housed caravanserais with rooms being rented to the trade caravans who were received at the city gates and used to halt outside the city wall. Historical accounts tell us that right from the time of its inception, the city had a mud fort with a fortified gate built by Bhatis of Rajput clan. The present day Bhati Gate thus is regarded as the oldest city gate. Another historical gate that existed during ancient times was Lohari Gate. The modern era city gates, the number of which sums up to be thirteen (though there’s a fourteenth one claimed to have existed as well, but only six remain standing, as of present times) were built as part of the restructuring of the city in the Mughal times of Akbar e Azam, once he moved the capital of his kingdom to Lahore in 1585. The facades of these gates represented the signature Muhgal Architecture; the arched gateways with high pishtaqs (portals), ornamented by ceramic tiles embedded with calligraphic and floral patterns. The gate corridor had a passageway wide and high enough to allow the monumental elephant rides other than the pedestrians. Astride the passageway was a provision for the covered shops making the area around the gate and beyond as a social and commercial hub. The arched gateway was augmented, on both sides by bricked structures primarily rooms and cells serving as administrative offices and accommodation for on duty staff, like nigahban (watchmen), kotval (policemen), taxmen and others. Galleries above the gates hosted the naubat khana (the guardshouse). Portions of the city wall and some of the gates were rebuilt during the times of Ranjit Singh when the Punjab was ruled by Sikhs. Another destruction and rebuilding wave came up after the English Sarkar annexed Punjab, who demolished the city wall along with a few gates and rebuilt a couple others. The present day Circular Road runs along the periphery of the ‘Walled City’, of which the wall is no more extant and the boundary gets defined by the city government parks and the rows of double and even triple storey houses. This virtual boundary gets punctuated by the surviving city gates and the entrance streets where once those majestic gates stood. As one drives on the circular road keeping an orientation towards the Walled City, there are glimpses of people pleasuring under the shades of trees, roaming around aimlessly and with a posture, and vendors parading their shops and stalls on the outer streets of the city gates. There is this persistent activity coupled with a mood of glee suspended in the air, which gets carried over long after one has gone past the neighborhood of Androon Shehr (the local name for Walled City). The city gates, dear reader, are still the hub of activity as these used to be in earlier times. Open round the clock, lined up with shops and stalls both on beiroon (outer periphery) and androon (inner periphery). Bustling with activity throughout the day, beautifully lit by night, the city gates are the real pulse of Androon Lahore. It was a Sunday afternoon as I geared up to embrace the walled city. The plan was simple, to visit all the city gates of Lahore. The mechanics of ‘how it was to be accomplished’ were yet to be decided as I boarded the Lahore City Metro Bus at the Qainchi stop. As the bus made its way across the Canal, I had developed a somewhat clearer picture of the proceedings ahead. I was to embrace the irregular trapezium of Walled City at the Circular Road and was to scale the outer periphery of a little over 450 acres of land on foot. What better way to feel the true heart of the city other than setting foot on its structures and shouldering across its people! I got off the metro at stop no. 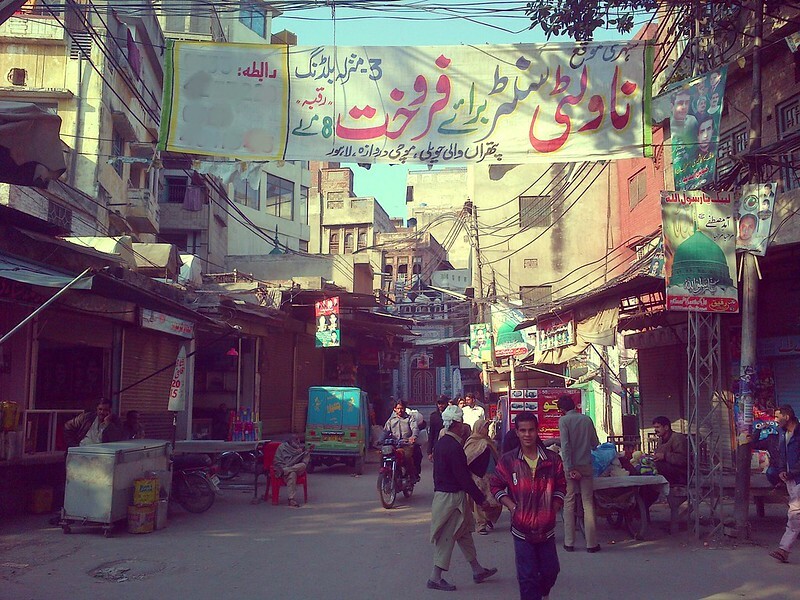 5, Bhati Chowk with Data Darbar on one side and the south-western fringe of the walled city on the other. Taking a detour on circular road, the first RV of the afternoon was Bhati Gate. The shops and vending stalls lining the beiroon (outer periphery) of Bhati Gate were predominantly pigeon selling stands. This brought as a flashback, the ancient art of kabootarbaazi (pigeon rearing) from the winding alleys of walled city. A hobby that was patroned by the nawabs (nobles) in old India and flourished during the Mughal times. It was a good omen to begin a tour that was going to take me to the past from the vibrant colors of the present. 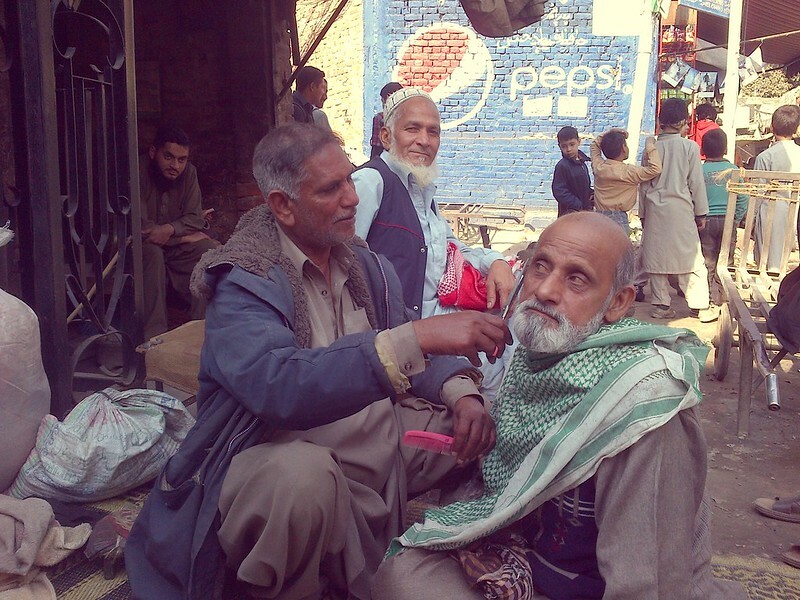 A little ahead I stopped by a street barber discharging his professional services out in the open. A light chat with these fine people elevated my enthusiasm as I embraced the tall standing city gate at a distance. Bhati Gate is regarded as the oldest of all city gates.Last rebuilt during the days of British Raj, it guards the south-western entrance to the city. Legend has it that the gate is named after the Rajputs of Bhati tribe who are regarded as the prehistoric founders of the city of Lahore. It has been the main entrance to the city during different periods, until Akbar expanded the walled city and the main entrance shifted towards east at Delhi Gate. 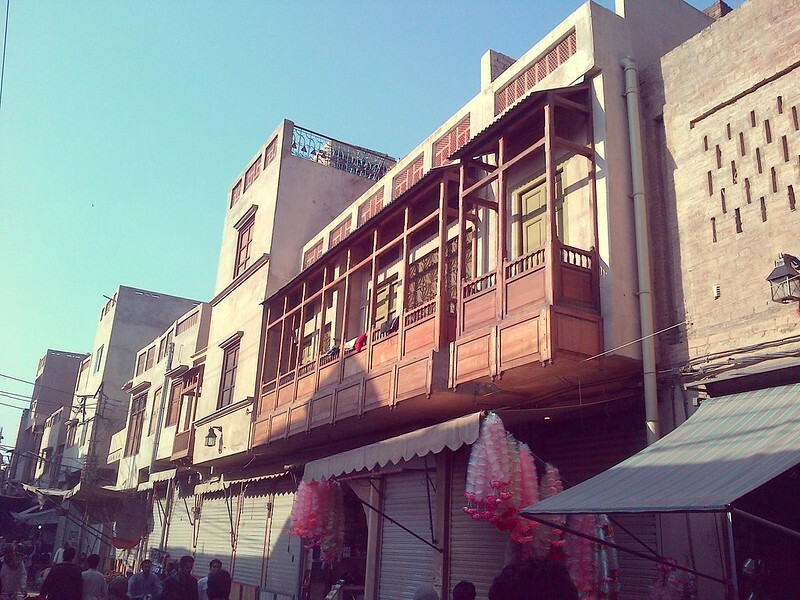 Bhati Gate leads to Bazar Hakiman, an area that because of its association with the literary laureates was named as “Chelsea of Lahore”. 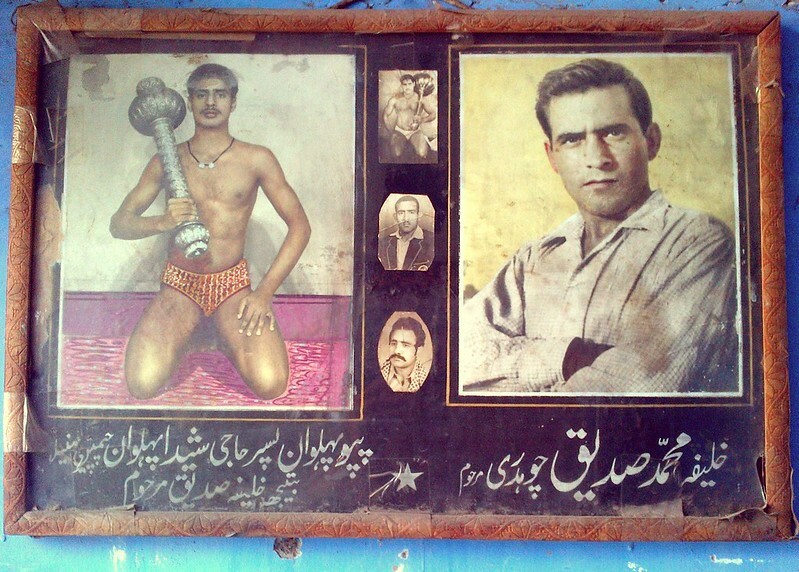 From the tales of the past, Jai Narain Sharma tells us that it was the poetical symposia of Bhati Gate that attracted Allama Iqbal during his early years. Coming back to the present days, a few attractions neighboring Bhati Gate, include the shrine of Data Gunj Bakhsh, Fakir Khana Museum, Oonchi Masjid and off course, the food delicacies. The next one in line was not a gate but an outlet to be more precise. Mori Gate was an opening in the city wall with a passageway that was used to take the refuse and waste out of the city. The word mori in Urdu is linked with the refuse or sewage system. 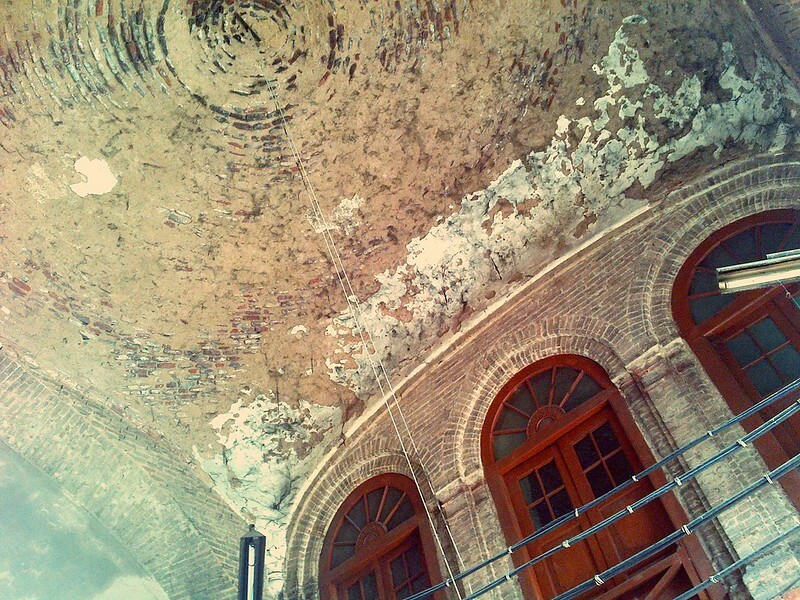 This opening historically served as a sanitary exit for the walled city. It lost its purpose with the advent of modern sewage arrangements particularly those during the days of British Raj. 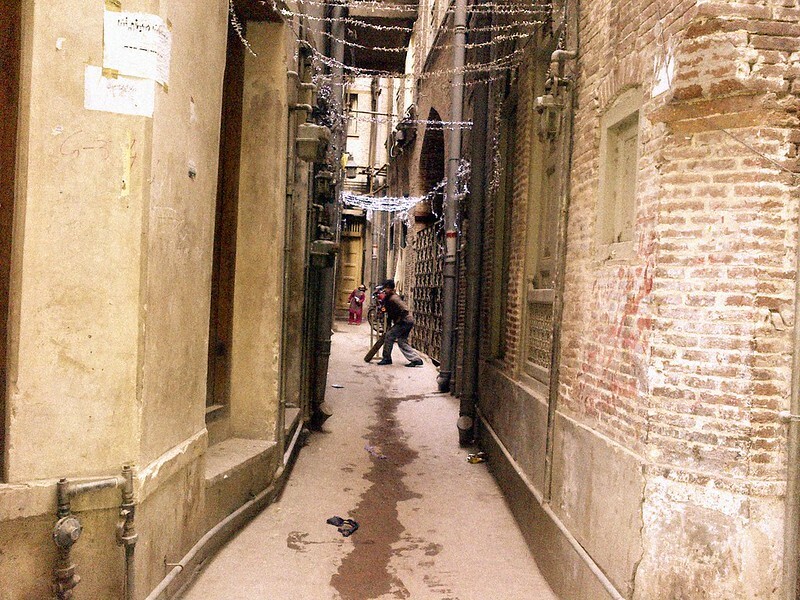 Now it is a narrow passageway that goes past the row of houses of which there are multi-storey structures. It further leads to the Mori Gali Bazaar that eventually junctions with Lohari Mandi Bazar. 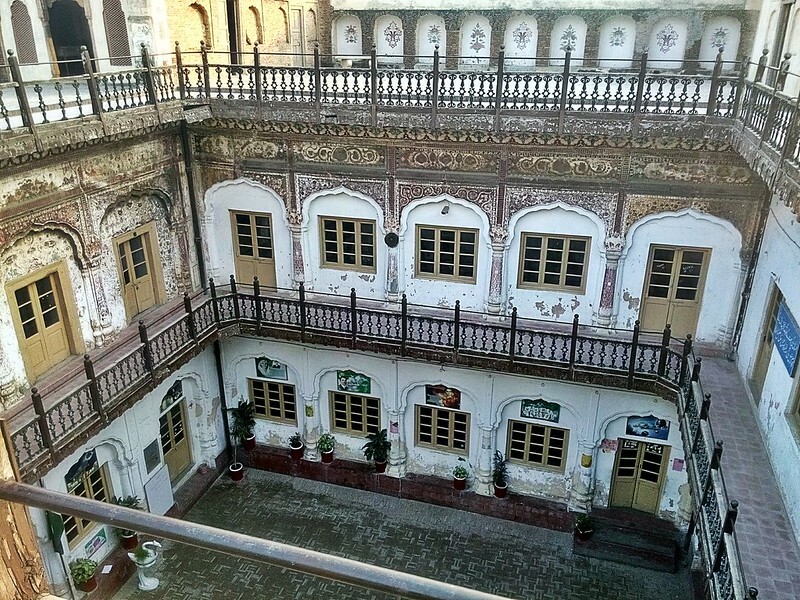 One of the main attraction between Bhati and Mori Gate is Haveli Naunehal Singh. Built as a private residence by Naunihal Singh, the grandson of Maharaja Ranjit Singh, it is a magnificent building from the Sikh era. A four storey structure with ornate architecture is a distinguished edifice in the walled city which I was to explore later, but not that afternoon, as I headed to the next gate in line. Lohari gate has been a gate of significance on the pages of history. Historian Latif tells us that it was named after the city of Lahore, during the time of Governor Ayaz. Another belief is that the gate was named after a market of Lohars (ironsmiths) near the gate. Nowadays one cannot miss a market of jewels in area of androon Lohari gate. The Lahori gate, called also the Lohari gate was named after the city of Lahore. 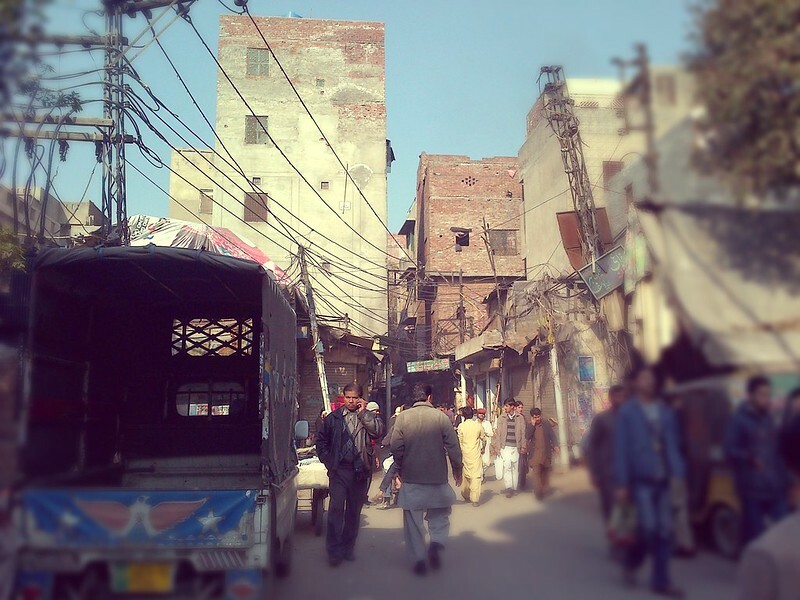 It is said that when Malik Ayaz rebuilt the town, in the time of Mahmud, the quarter of the city first populated was about this gate, which, together with the Lahori Mandi, or the Lahore market, was named after the city. This was the gate, we are told, from where Ranjit Singh along with a thousand of his best men entered Lahore to take on Sardar Chete Singh, whereas another battalion of his journals used Shah Alamee gate. 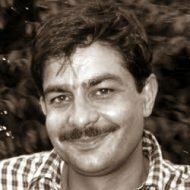 The initial plan was to enter the city walls through a breach made between the Khizree and Yakki Gates by the local informers, but Ranjeet Singh did not trust them. Lohari Gate of today bears a commemorative plaque on the face of the second arch. We, dear reader, through this plaque, are informed that the gate was rebuilt in 1864 in the times of Sir Robert Montgomery as Governor of Lahore. It is the only gate for which the reconstruction was on the original blue print from the Mughal architecture from the times of Akbar. 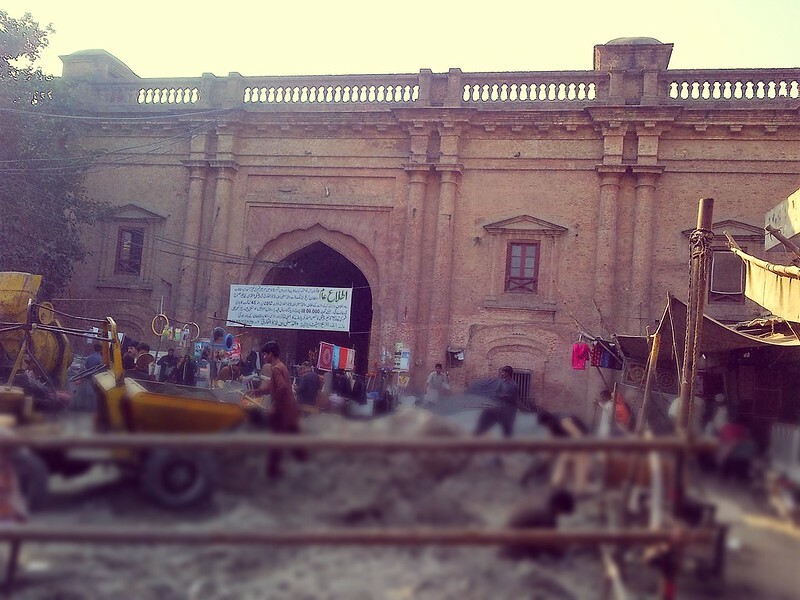 The British kept Lohari Gate in significance being the point of origin for the busy and important Lahore – Mooltan highway. 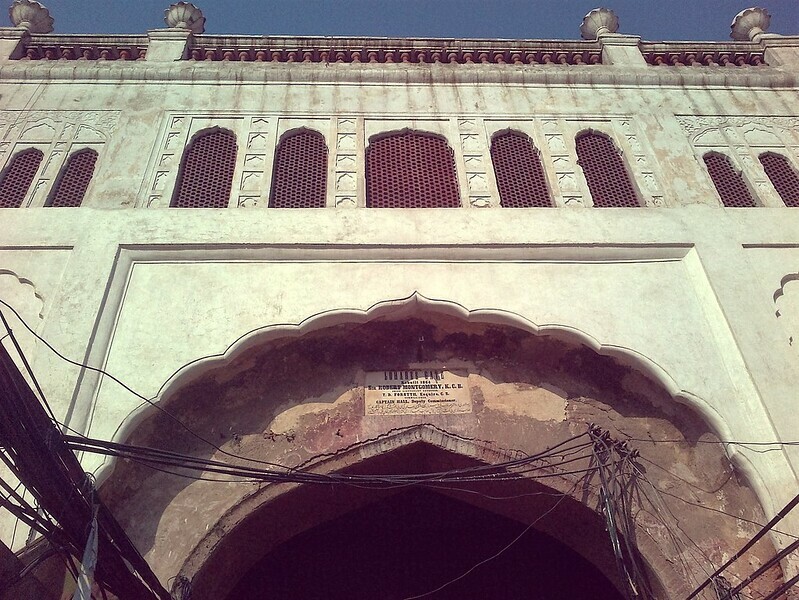 At present times, Lohari Gate leads to one of the best preserved old buildings in the walled city. The nearby attractions include the tomb of Qutbuddin Aibak (Aibak Road near Anarkali), and the world famous Haji Sahib Nihari Waley at Lohari Mandi Bazar. And if you are intrigued by the haunted houses and related stories, one by Tania Qureshi can be referenced here. Following the Circular Road, I reached Shah Almi Bus Stop and first came across the famous Masjid Shab Bhar (the one night mosque). The story goes that it was a place of dispute over building of a temple or a mosque. The court had to intervene and a personal visit of the site by a Judge was planned. The Muslims of the area reportedly built the entire mosque on the site during one night, prior to the Judge’s visit, entirely on self help basis. The incident is referred to in Allama Iqbal’s famous couplet, where he ironically points out that it took us a night to build an entire mosque but even after a lifetime we could not be a true follower of the spirit of Islam. 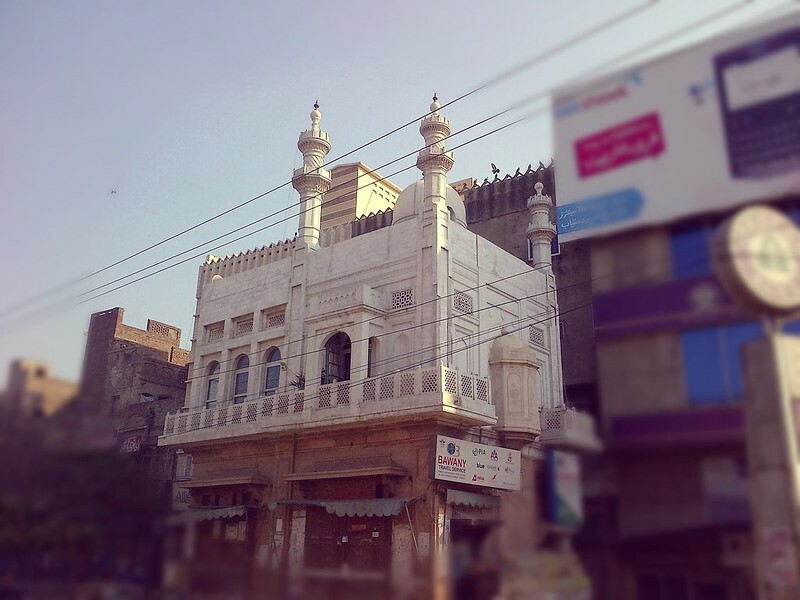 This mosque is located at the place from where Shah Almi Road runs towards north and a city gate was reported to exist here that went by the name of Shah Almi Gate. Historian Latif tells us that the gate was named after Shah Alam Bahadur Shah the son of Aurangzeb who ruled Lahore for a brief time (not to be confused with Shah Alam II, Bahadur Shah Zafar, who was the last of the Mughal Kings). Anna Suvorova through her research tells us that the gate was originally called Bheir Wala Darwaza (The Gate of Sheep) during the times of Emperor Akbar as it led to pastures. The Shah Almi Gate, named after Mohomed Mo’azzam Shah Alam Bahadur Shah (the son and successor of Aurangzeb), a mild and munificent Emperor, who died at Lahore on the 28th February 1712. Shah Almi is the gateway to major commercial hub of walled city. It was as such before the partition as the area was dominated by the Hindu and Sikh traders. Papar Mandi street was a market for dry fruit, spices and herbs. 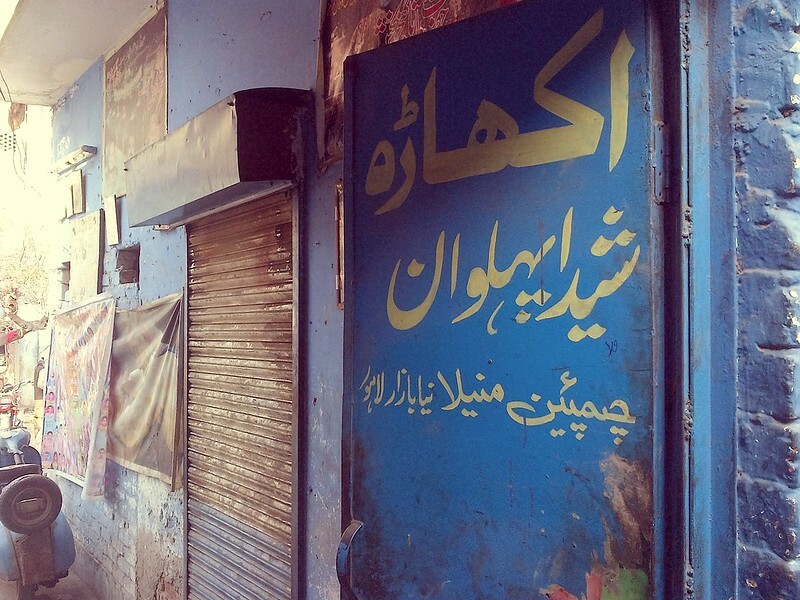 Sarafa Bazar was a goldsmith market and Dabbi Bazar had the general provisions. These streets still exist with the same names and lines of business, but the ownership has changed to Muslims. At the time of partition, riots erupted in Shah Almi and the Hindu and Sikh traders had to abandon their homes and migrate to India. The shops and dwellings were set on fire and the huge fire is reported to have lasted for days that had reduced almost entire Shah Almi to ashes. Tarar Sahib mentions of these memoirs in his novel Raakh. Taking a stroll on the Shah Almi Road up north, we reach the tomb of Ayaz, the Governor of Lahore from the times of Mahmud Ghaznavi. It’s the same Ayaz of Allama Iqbal (ek hi saff mein kharey hogaey Mahmud o Ayaz) and the tomb is at Rang Mahal Chowk. A gate long destroyed and existing only in memories. There are stories about the origin of the name of gate. There is this thought that the name comes from Mochis, the leatherwork professionals, cobblers and saddle workers that once populated the area. Another version from history states the name of the gate ‘Mochi’ as a garbled form of word ‘Moti’ meaning pearl. A legend has it that it was named after the gatekeeper, one Moti Ram, during the days of Akbar e Azam. Present day androon Mochi Gate is crowded by the streets housing Mochi Gate Bazaar, Sadakaran Bazaar and Kamangaran Bazaar which are the famous market-places for dry fruits. In good old days one could shop for kites and fireworks here, the basic accessories for the (in)famous basant festival. There is a historic landmark at beiroon Mochi Gate, Mochi Bagh. The gardens outside Mochi gate had a significant role to play in the independence struggle for Pakistan. These gardens hosted a number of Muslim League processions and became a key place for leaders to address public at Lahore. Just across the Circular Road from Mochi Gate gardens is yet another phenomenal building. Barkat Ali Islamia Hall served as the rallying point for the Muslim League gatherings that used to be held at Mochi Gate gardens. The gardens outside Mochi Gate became synonymous with the Indian independence struggle of the Muslims in the forties for the creation of Pakistan. The open greens in the garden could take a few hundred thousand people. Lahore political rallies and meetings were generally held there to demonstrate the zeal and enthusiasm of the people for the formation of a new independent state for the Muslims of India. Any Muslim leader who wished to address the people of Lahore had no choice but to come to the Mochi Gate gardens and speak to public. Named after Malik Barkat Ali who belonged to an influential family in the walled city and who also got elected in Punjab Assembly in 1937 on a Muslim League ticket, this hall witnessed the origin of Muslim separatist movement in British India and hosted a number of gatherings where the idea of Pakistan was debated with great enthusiasm. This building has been surrounded by encroachments from the three sides and only the front of the building is accessible from Circular Road opposite to Mochi Gate. From Mochi Gate, I arrived at the next entrance that once had Akbari Gate. In the honour of Mughal King who rehabilitated and glorified Lahore during his reign, Akbari Gate was named after the Padeshah (King) Jalaluddin Muhammad Akbar; the Mughal e Azam. Due to this association, understandably the gate was razed during the British reign at Lahore, along with the fortification wall, though on the pretext of improving sanitary arrangements. Anna Suvorova tells us that the English promised to rebuild this gate, a promise that was never kept. That afternoon the entrance street for the once standing Akbari Gate had nothing in terms of grandeur. The historical significance was relegated to a somber narrow street that was reduced due to the encroachments and the rows of double storey houses on both sides. A couple of cars parked onto the sides, a boy on a bicycle and silence (understandably as it was Sunday) greeted me. 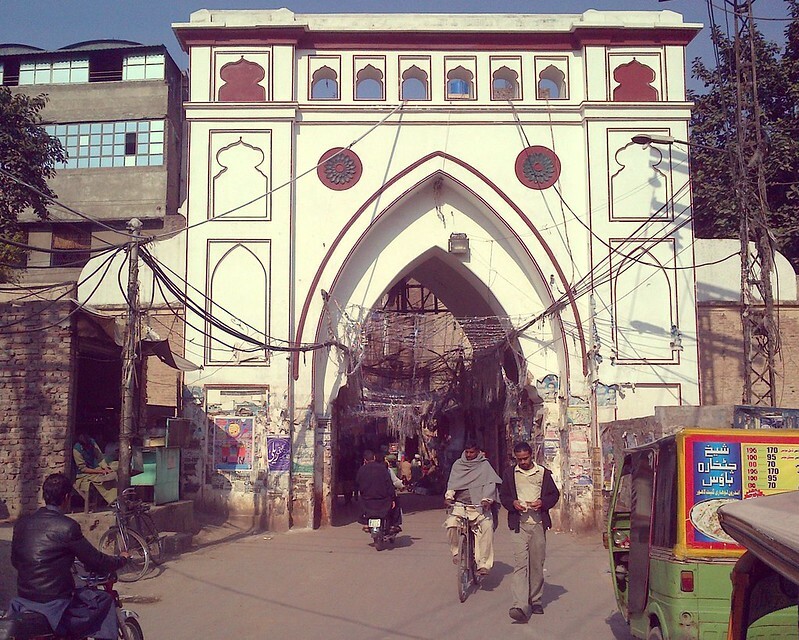 The Akbari gate, named after Muhammad Jalal-ud-din Akbar, who rebuilt the town and citadel. Close to this gate the Emperor also founded a market, which, after his name, is called “Akbari Mandi”. Here corn of every description is sold. 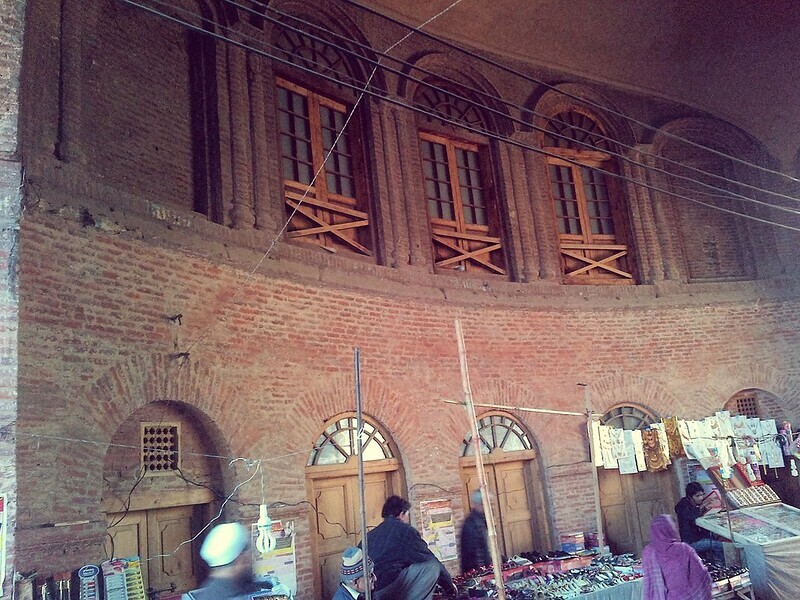 The area androon of Akbari Gate has been and is famous for Akbari Mandi, a spice and grain market of grand scale, that is said to have been founded during the days of Emperor Akbar. It still is a bustling bazaar of spices, herbs, grains and chemicals; the accessories collectively categorized as pansaar. I scaled my path across the bazaar and it was here that I took the inner route towards Delhi Gate. 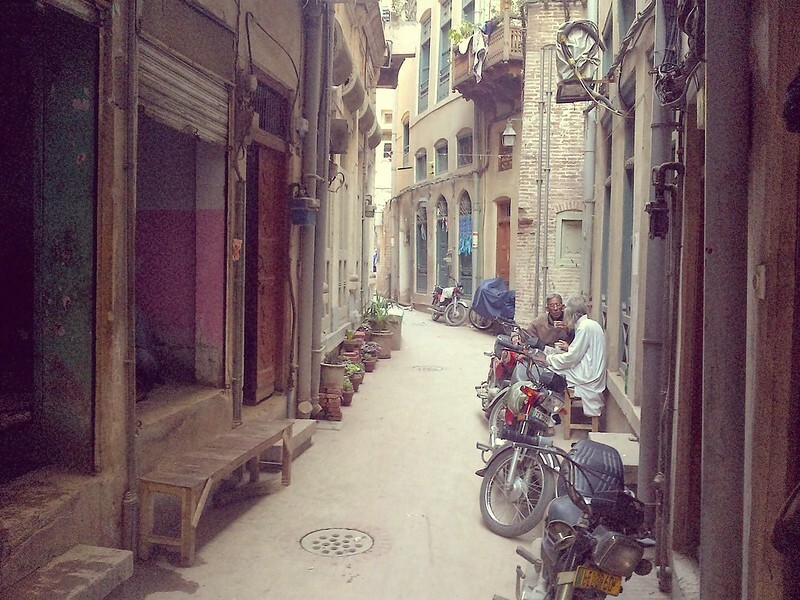 Coming across a maze of winding narrow streets, it was like breathing the true soul of the walled city. I was greeted by elders occupying their street benches just beside their house doors as they sipped tea, kids playing cricket in the streets narrower in width than a cricket pitch, and multi-storey houses who seemed to embrace each other across the streets as they rose in height. Finding my way across as I bounced back from numerous cul-de-sacs, I eventually encountered Shahi Guzargah leading to the magnificent Delhi Gate. The Kashmiri Gate and the Delhi Gate opened onto the high roads that ran between Lahore and those great places, and it was probably no coincidence that the largest caravanserai near the walls lay outside of the Delhi Gate. The magnitude of the Delhi Gate Bazaar and its connecting Akbari Mandi and Kashmiri Bazaar convey centuries of bustling activity and trade, in these great markets scaled for trading in enormous loads of grain, nuts, and spices. Delhi Gate was named as such as it faced Delhi, the strategic stronghold of Mughal India. The gate led to the Imperial Highway Lahore – Delhi and it was the route of the royal processions originating from Lahore Fort enroute to the Delhi and vice versa. This route from Lahore Fort upto Delhi Gate was aptly called Shahi Guzargah (The Royal Trail). 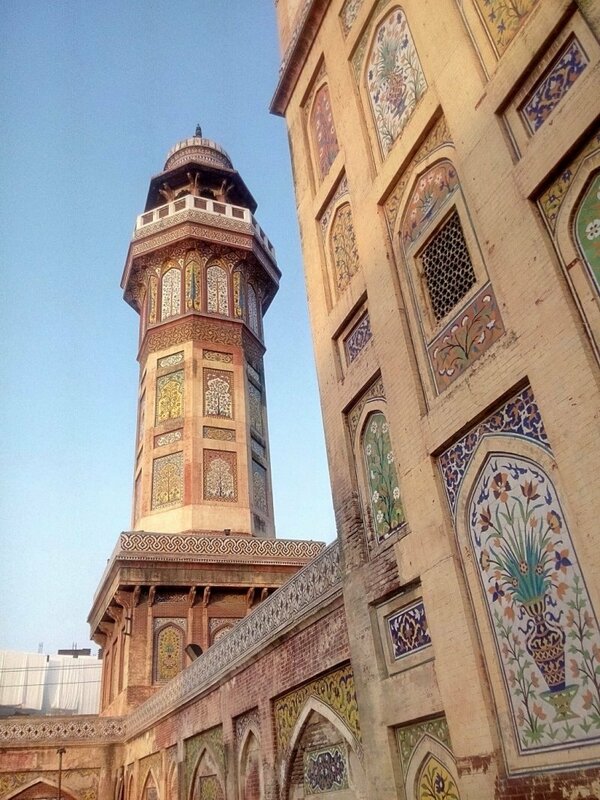 It includes the prominent landmarks, The Akbari Darwaza of Lahore Fort, Maryam Zamani Mosque, Choona Mandi Haveli, Sunehri Masjid, Chowk Wazir Khan Mosque, Shahi Hammam and Delhi Gate itself. 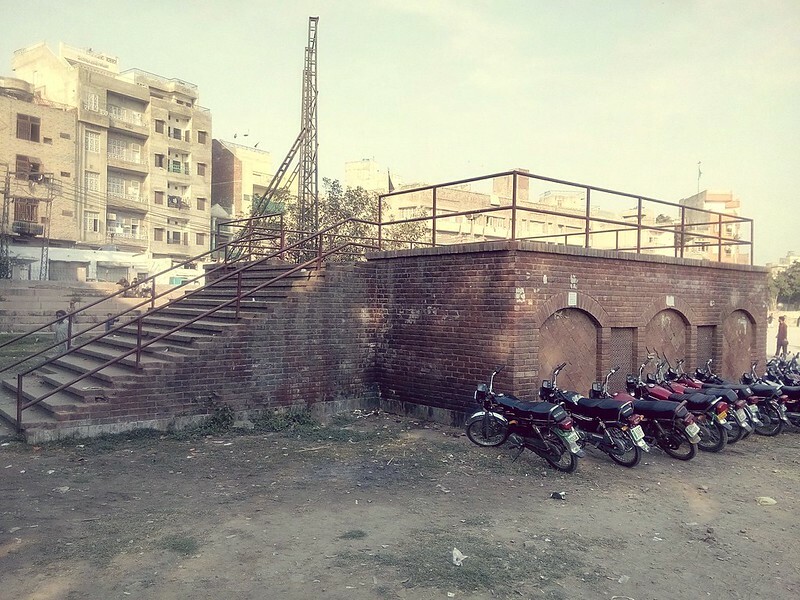 This trail recently has been refurbished and renovated by the Walled City Authority, a nice initiative indeed. Delhi Gate itself was in the process of restoration with all the construction paraphernalia around it. The present model of the gate is in Victorian style as the British rebuilt it. 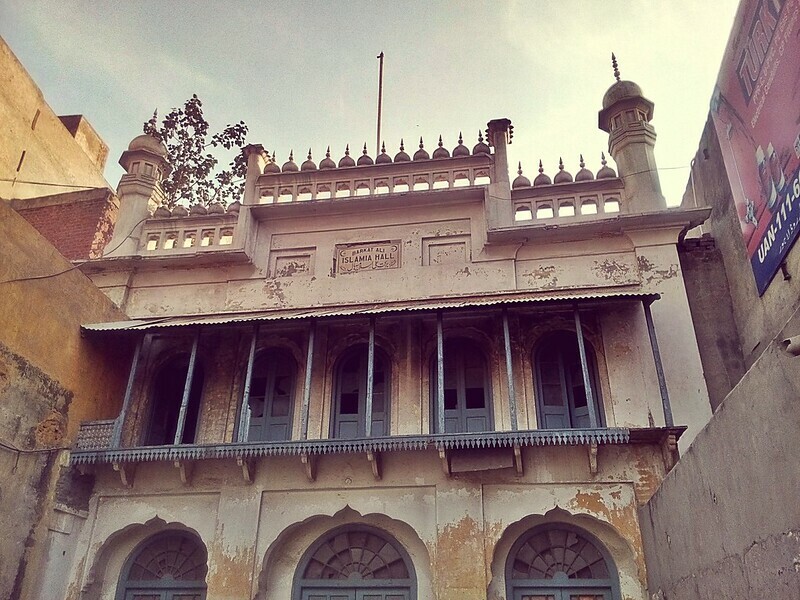 The original façade from the Mughal times is lost now. So is the grandeur of Chowk Dara where once stood the Prince Dara Shikoh residence, the palaces of his harem and the famous Nakhas Mandi (the horse market). Present day Delhi Gate carries the Marble Arch design as the British replicated it, has a domed passageway, and a row of government quarters survive on both the sides towards the inner side of the gate. Inside the domed passageway are the rooms that once housed the Kachehri (Magistrate Office) and Kotvali (Police Headquarters). 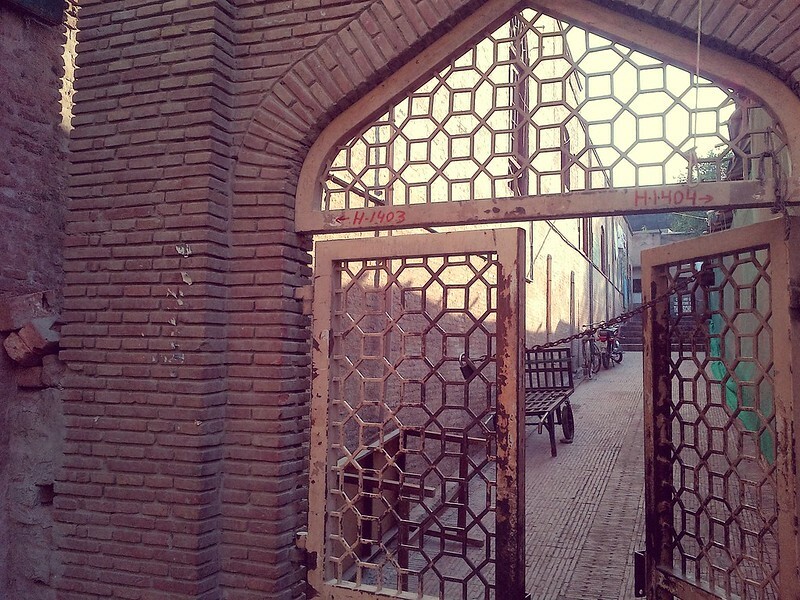 Attached to the gate is Shahi Hammam from the Wazir Khan times that has recently been renovated. Just a few yards ahead we reach the Wazir Khan chowk, where stands one of the monumental and ornamental mosques of Lahore, the Wazir Khan Masjid. There was a large caravanserai, presumably Serai of Wazir Khan, reported outside the Delhi Gate. Some sources place another grand caravanserai outside the Kashmiri Gate. Both the Shahi Guzargah and the Delhi Gate were the pick of the visit that afternoon and also the midway of the long walk, as I took a break to refresh myself for the remaining tour.